My friend Yuko was trying to convince me to watch a Web video, a TED talk by some guy who said some inspiring stuff. I like watching videos, but I don’t get home to New York that much. I had a only few hours left in my visit, so I was anxious to hit the streets one last time to wallow in the treasures and pleasures of the big city. But Yuko, who is a self-defense instructor and conflict mediator, buttonholed me—gently and without conflict. I didn’t know the speaker, a lawyer named Bryan Stevenson. But I was riveted and moved by what the man had to say. He blew me away, in fact, and he did it in an unexpected way: by telling stories, beautiful, personal stories. I did know something about the issues Stevenson discussed: mass incarceration of black and brown boys and men, the suppression of the most brutal chapters of our history that created America’s legacy of racial injustice and economic inequality, the lethal absurdity of our death penalty regime. I can’t dwell on these topics because I get enraged, both by the ugly facts and the culture of denial that surrounds them. It took me a whole year to finish Michelle Alexander’s The New Jim Crow, which tackles mass incarceration head-on, because I had to put the book down every few pages. It kept igniting the volatile reservoir of anger I feel as a black man in a society that often seems to run on whitewashed myth, rather than “color-blind” truth. 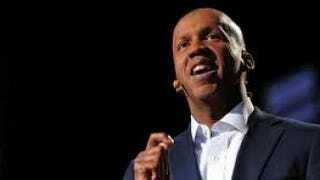 Stevenson, a tall, bald, soft-spoken African-American attorney and founder of a Montgomery, Ala., legal aid group called the Equal Justice Initiative, began his TED talk with a story about his grandmother, Mama. “I grew up in a house that was the traditional African-American home that was dominated by a matriarch,” he said, “and that matriarch was my grandmother. She was tough. She was strong. She was powerful. She was the end of every argument in our family.” He paused, smiled. “She was the beginning of a lot of arguments in our family.” In a heartbeat, Stevenson turned serious. Mama’s parents—his great-grands—had been enslaved. “She was born in the 1880s, and the experience of slavery very much shaped the way she saw the world.” That was Mama’s legacy for her grandson. The past matters to Stevenson, particularly America’s hidden history. Rather than simply fighting The Man legal case by legal case, Stevenson’s work at EJI increasingly explores “what it was like for people of color to be humiliated every day, to be excluded, to be marginalized, to be subordinate, to be denied, and how changing a law [during the Civil Rights era] was inadequate to confront all of that anguish and suffering and get us closer to truth and reconciliation, which is ultimately the goal,” he told The Root. “And then it becomes important to talk about mass incarceration, because it’s a manifestation of our failure to confront” that history. After hearing the Stevenson talk, I looked him up. “I grew up on the Eastern shore [of Delaware] in a rural, segregated community, and was always mindful of the legacy of racial inequality and the challenges that poverty created,” Stevenson told The Root. He also “benefited from the opportunities created by integration,” he added. The landmark ruling struck down laws in 29 states that imposed automatic, mandatory LWOP on juveniles. In concrete terms, a minor—a person who’s not yet fully developed cognitively—can't be condemned to rot and die in prison. We can lock him up—for 20, 40, 70 years—but because of Stevenson (and EJI), we can’t throw away the key. It’s a radical proposition, but one with compassion and hope at its core. Brian Palmer is a journalist and documentary filmmaker currently teaching at the Scripps Howard School of Journalism and Communications at Hampton University.